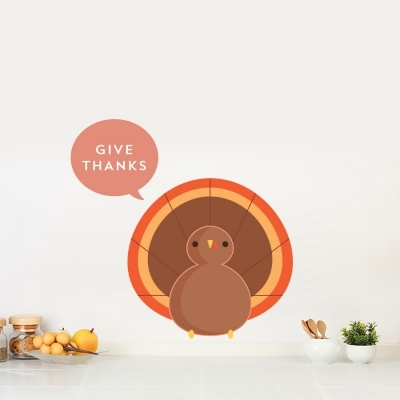 This festive turkey will serve as the perfect reminder to give thanks this holiday season! This item cannot be returned or exchanged. Unlike our solid standard vinyl decals, Wallums printed wall decals are made from ultra premium finely woven fabric that is repositionable. Perfect for renters, apartment, dorm rooms, classrooms and holidays. Our printed wall decals can last for years but are easily removable when you move or decide to change it up.